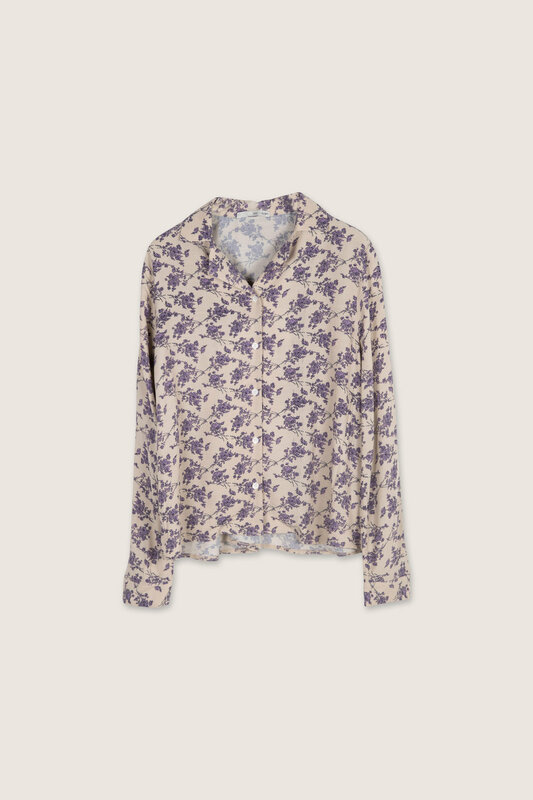 Perfect for the upcoming seasons, this blouse features a lovely floral print with subtle spring tones. 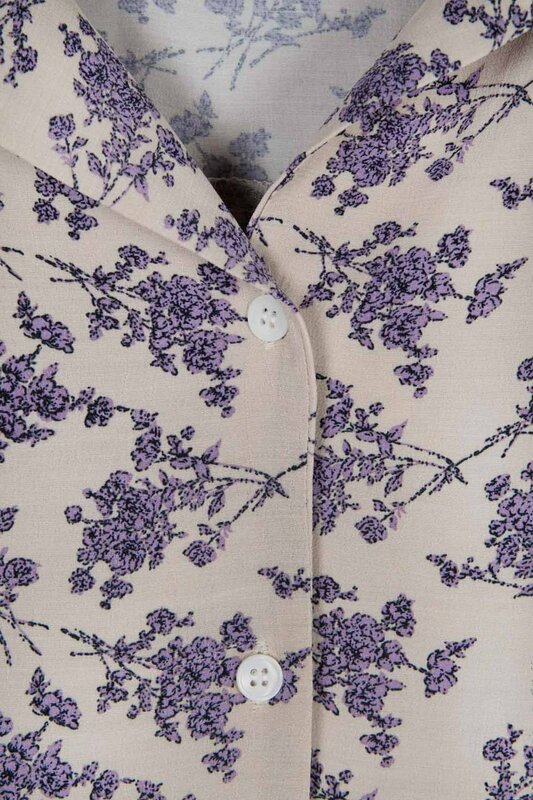 Featuring a classic button-up front with a notch lapel collar and a subtle high-low hem, the relaxed silhouette combined with the crepe-inpired fabric gives this piece a beautiful, fluid look. Pair with cropped denim and flat mules for a effortlessly chic look.